Our Renhe Industrial Parts Co,.Ltd is a business company , we are mainly exporting all kinds of casting parts(investment casting, die casting, sand casting and so on), forging , metal stamping, precision CNC machining, plastic and rubber parts. We provide a full range of assembly methods including welding, brazing, beat-treating, screwing, fastening or hinging, we also offer full range of finishing ,from painting, plating ,anodizing, and power-coating. 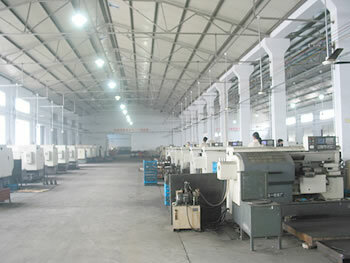 We have more than fifty factories in Ningbo. Most of suppliers have ISO 9000 certification, based on the factories' inspection before the shipment, our quality control team will also inspect every shipment , we will advise earlier when the parts have the quality problems.